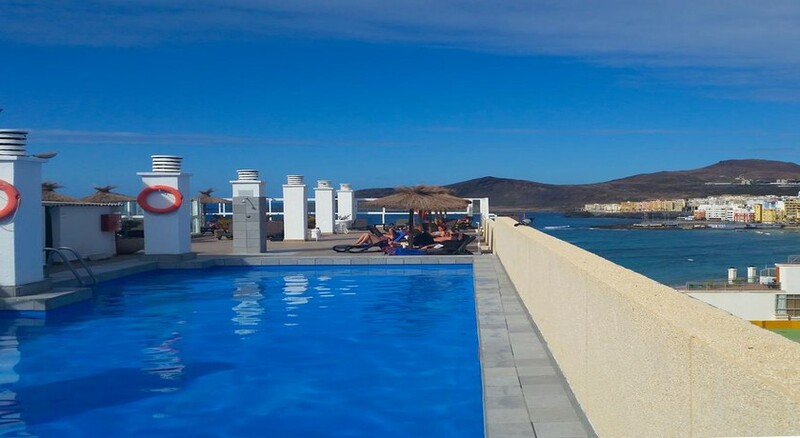 Ideal for families, couples and business travelers, Concorde Hotel is a 4-star family friendly property in Las Palmas. 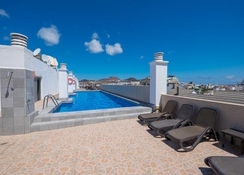 The famous beach and the promenade of Las Canteras lie metres away, creating a stunning view amidst the hustle and bustle of shops, restaurants and entertainment centres. Ideal for business and holiday trips, this hotel offers modern and immaculate guest amenities and services. This is a strategically located hotel within a short drive from the airport. Its main features include buffet restaurant, heated pool and proximity to the beach and other important landmarks. The hotel also has multilingual and friendly staff. Located in the heart of Las Palmas, Concorde Hotel is surrounded by business centres and entertainment facilities. 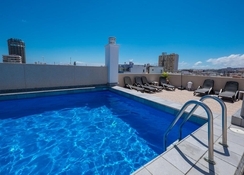 The famous golden-sandy Las Canteras Beach is only 50 metres from the hotel. Bus stations and metro stations are also just a couple of minutes from the hotel, so is the airport. This five-storey building is surrounded by shops, restaurants, bars, clubs and shopping centres, not to speak about recreational activities conducted on the beach. Concorde Hotel is equipped with 126 modern rooms that are divided into Double Bedroom (single person use) and Double Bedroom (two persons use). It has 101 exterior rooms that are fully soundproofed and 25 beautiful interior rooms. Standard features are en suite bathroom, WC, hairdryer, toiletries, mini bar, telephone, air conditioning, TV with satellite connection, safe deposit and Wi-Fi connection — extra bed can be provided up on request. In addition, the hotel has two Junior Suites that come with extra amenities and services. Located on the sixth floor, View Point Restaurant is a fully air-conditioned restaurant that not only offers scrumptious food but panoramic views of Playa de las Canteras as well. It serves breakfast buffet from 7am – 10am and dinner buffet between 7pm – 10pm. The menu serves both local and international cuisines as well as cold and hot assortments. It also has terrace sitting area and a separate smoking area — there is “Bar La Columna” across the main restaurant that serves alcoholic beverages, a collection of local and international brands and snacks. Concorde Hotel has a rooftop swimming pool (can be heated) and solarium. On the terrace, there is Bar Mirador with a magnificent view of the Las Canteras Beach, good for events, celebrations and business meals etc. There is also a TV room to relax.